Welcome to the Basilica of Santa Maria del Pi in Barcelona. The Pi is history, culture and art, but above all it is the home of an open and welcoming community of believers who celebrate and listen to the word of God. 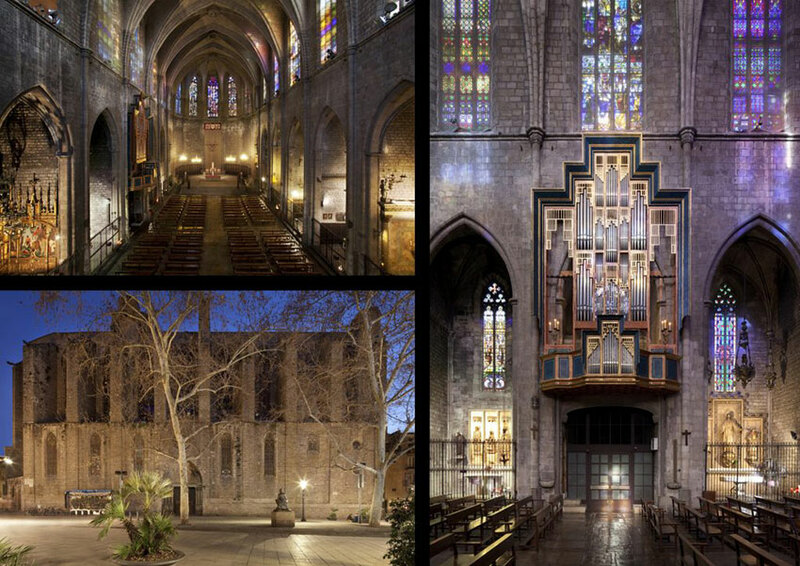 The Basilica of the Pi offers the possibility of visiting its museum spaces, including the treasury of the basilica, which has an important collection of Catalan goldsmith’s work, the permanent historical exhibition, the crypt, the garden and the bell tower, open to the public for the first time and with privileged views of the city of Barcelona. For a few hours, the visit to the temple is a pleasant one, and for those who wish to come and make amends, the Chapel of the Blood has remained open from 9:30 am to 8:30 pm. The contribution that we require from the visitors is donated by the structural needs of conservation and restoration of the gothic temple of our community and of the movable heritage that I told you about. The cultural use of the Basilica is the basis of the financing of the concrete works and actions it undertakes. To protect and enhance the value of our heritage, we have opted for a management model based on a visiting experience: tourist crowdfunding. Our visitors will not only see and know about aspects related to religion, faith, culture, art, architecture and history, but will also be aware of the conservation needs of the building they visit, and they will see that their contribution will be direct collaboration and collaboration in a specific work. In this way he knew a link between the visitors and the place they visited, and they became the best ambassadors of the Basilica, in our patrons. VISIT THE PI TOWER BELL: Discover Barcelona in 360º! Basilica of Santa María del Pi is a member of Barcelona Tourism.